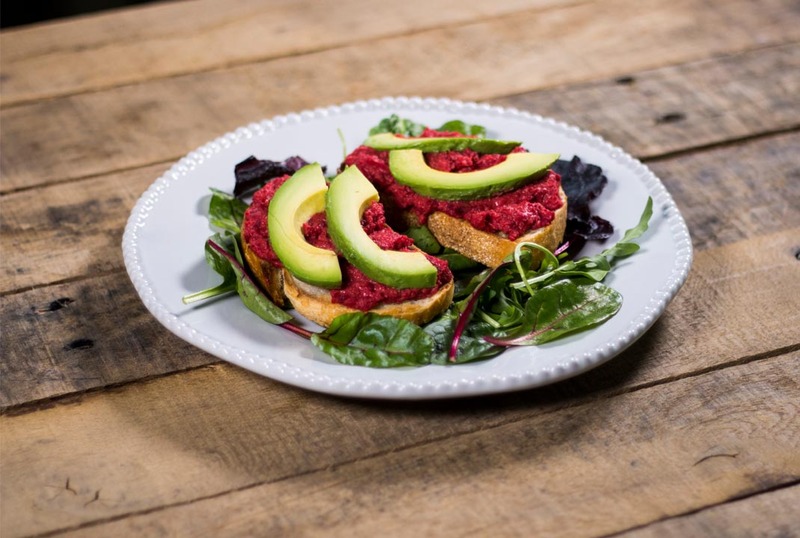 Our simple Beetroot Hummus and Avocado Bruschetta is great for a light lunch. Bursting with colour and packed full of flavour, this makes a perfect healthy and vegetarian meal. You start by making beetroot hummus with roasted beetroot which adds a fantastic flavour and even better colour. 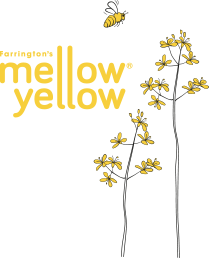 Then toast or grill your sourdough once brushed in Mellow Yellow and start to assemble your impressive, tasty and healthy lunch. Place the sliced beetroot in and ovenproof dish and drizzle with ½ tablespoon Mellow Yellow Rapeseed Oil. Season with salt and pepper and toss around to coat the slices in the oil. Bake in the oven for 15-20 minutes until softened. Place the chick peas, roasted beetroot, garlic, lemon juice, 60ml Mellow Yellow Rapeseed Oil, and a generous pinch salt and pepper into a food blender. Blend until you have a smooth consistency. For the bruschetta. We use slices of fresh Sour dough bread for our bruschetta. Brush both sides of the bread with an even light coating of Mellow Yellow Rapeseed Oil and a little sprinkle of salt and simply place in the toaster until lightly golden. Spread on the beautiful beetroot hummus and top with slices of avocado.